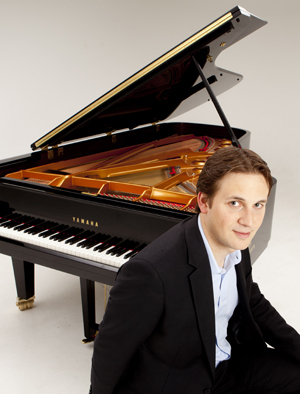 Pianist Daniel Gassin recorded his debut album, "Roundtrip" in 2004 with funding obtained from winning the Banyule / La Trobe University Young Artists’ Award. The album was influenced by time spent living in Paris (where he studied with local stalwart Laurent Fickelson), and has received significant airtime on prominent national and local radio. In 2007 Daniel was the sole Australian to reach the finals of the Bosendorfer Jazz Solo Piano Competition at the iconic Montreux Jazz Festival in Switzerland. In 2008 he was selected to participate in the Jazz & Creative Music Workshop in Banff, Canada, headed by world-renowned U.S. trumpeter and composer Dave Douglas. In 2005, 2006 and 2009 Daniel’s trio completed tours of Western Australia, culminating in performances for the Perth Jazz Society. He also toured New Zealand in 2006, 2007, 2008 and 2009 performing with groups led by saxophonist Paul van Ross, drummer Mark Lockett and bassist Michael Story. In late 2007 Daniel performed as part of a special project featuring Italian saxophonist Ettore Martin and expatriate bassist Leonardo Rigo, with the support of the Italian Cultural Centre. The Daniel Gassin Trio has recently released its second album, “Crossover” recorded with Mal Stanley for ABC Jazztrack, on Vorticity Records.